The Lightarian AngelLinks™ are a specialized team of angelic energies consisting of a Seraph and four Archangels...to assist you in your day-to-day life. Expand the pure angelic qualities of unconditional love, non-judgment, courage, beauty and joy within your energy fields. Establish a series of five unique and permanent guideship connections with these supportive angelic beings. The following information is sourced from the Lightarian Institute for Global Human Transformation. Are you a Reiki Master? Expand your Reiki to the next energetic band with Lightarian Reiki. Typically, the connections created via the AngelLinks are much deeper than the angelic contacts that humans have long been experiencing. These linkages with Seraph Rose Aura and the four Archangels are especially fine-tuned, extremely high-vibrational and truly permanent in nature. They are very different from the more traditional "telepathic and etheric interactions" that many individuals already have with the Angels. Each of these AngelLinks sets up a new, very special kind of linkage within your energy fields to allow you and these angelic beings to work together more effectively. After receiving your Rose Aura connection, additional AngelLinks are available for creating more specialized etheric links with Archangels Michael, Raphael, Uriel and Gabriel. At the bottom of this page you'll find additional information about the Archangel AngelLinks. Your Rose Aura AngelLink connection is passed on to you by Andrea via a simple, guided meditation technique called an attunement. AngelLinks can be received, by telephone or remotely (from a distance). Andrea will send you an AngelLink Information Booklet in advance for self-study. As you review the Booklet, you will learn all about the AngelLink process, especially how simple and easy it is to share the AngelLinks with others once you are attuned. The angelic connection takes place through a guided meditation. During the meditation, Andrea establishes a simple, permanent, etheric energy connection directly between you and the angelic being. This guided meditation can take place by phone or in a remote (telepathic) mode. There is no formal training involved with the AngelLink process. However, if you have any questions about the information in the Booklet, you can discuss them with Andrea during your phone session. If you receive the AngelLink remotely, any questions can be addressed via phone E-mail. After receiving your Rose Aura AngelLink, you become a "Facilitator" and once registered can then begin sharing your Rose Aura connection with others. In this way, you become an "angelic conduit" and participate in the expansion of these divine qualities and patterns throughout humanity. 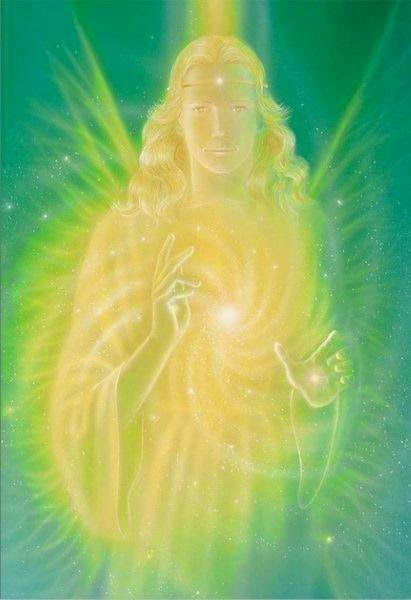 * Please note that the Seraph Rose Aura AngelLink represents our "Lightarian Doorway" into the energetic level of the Archangels and is a prerequisite for receiving the four Archangel AngelLinks. Anyone can receive the Angel Links. You can pay as you go, or pay in full $345 (Save $50). Seraph Rose Aura's AngelLink for unconditional love... From the highest level of the Angelic Realms called the Seraphim, a Seraph by the name of Rose Aura has stepped forward to spread the angelic quality of purest unconditional love to humanity. Via her AngelLink connection with you, an "angelic flame of unconditional love" will be placed into your heart space, fully radiate through your energy fields and then ripple out into all areas of your experience. Afterwards, Rose Aura will be working in your "etheric background" as an Angelic Guide to assist you in all matters of the heart...especially the expansion of unconditional love of self and others. Please note that the Seraph Rose Aura AngelLink represents our "Lightarian Doorway" into the energetic level of the Archangels and is a prerequisite for receiving the four Archangel AngelLinks. 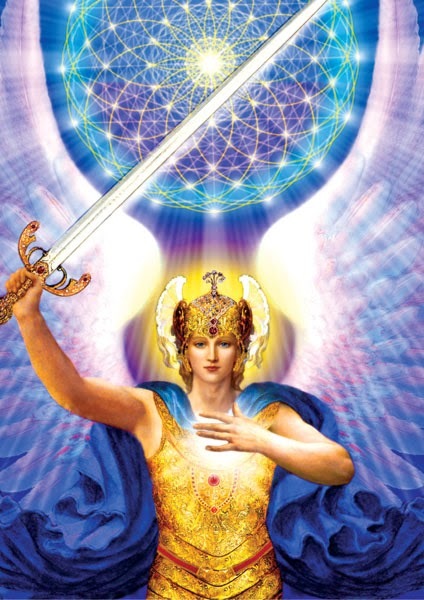 Through this AngelLink connection, Archangel Michael will work "in your etheric background" to provide ongoing support for you in creating non-judgment in all areas of your life. He will also focus on assisting you in successfully navigating within the etheric realms via telepathy, channeling, conscious etheric travel, etc. Michael was the first Archangel to step forward to offer his AngelLink. Archangel Uriel has stepped forward to provide us with an infusion of angelic beauty that will allow you to experience the "feminine side of beauty" through a heightened sense of appreciation and the masculine side of beauty through the stimulation of your talents for creative expression. Through this AngelLink connection, Uriel can help stimulate your creativity and inspiration for artistic expression in its many forms. Archangel Raphael has stepped forward to support us with an infusion of angelic courage and divine healing. He will assist you in moving more courageously through life and will help to light your way into the future. Also, with Raphael's assistance via this AngelLink, you will be able to more effectively avoid the challenges and hurdles of life...and also more clearly see the opportunities and spiritual rewards that lay ahead. Archangel Raphael's AngelLink will also provide support for you in your healing process. He is known as the "divine healer" and will help you discover the "divine healer" within yourself. Archangel Gabriel’s focus is on joy and communications! Through this AngelLink, he teaches us to take time to recognize and experience the existing joys that abound for us and to manifest new and exciting levels of joy in our day-to-day lives. Gabriel is also traditionally known as the great communicator for the Divine. So, he is especially able to help you with inner communications for accessing your "personal knowing and intuition", as well as to provide practical support for effective communications in your outer, day-to-day life. These four attunement-based connections with the Archangels can be shared with others in the same way as the Seraph Rose Aura AngelLink. 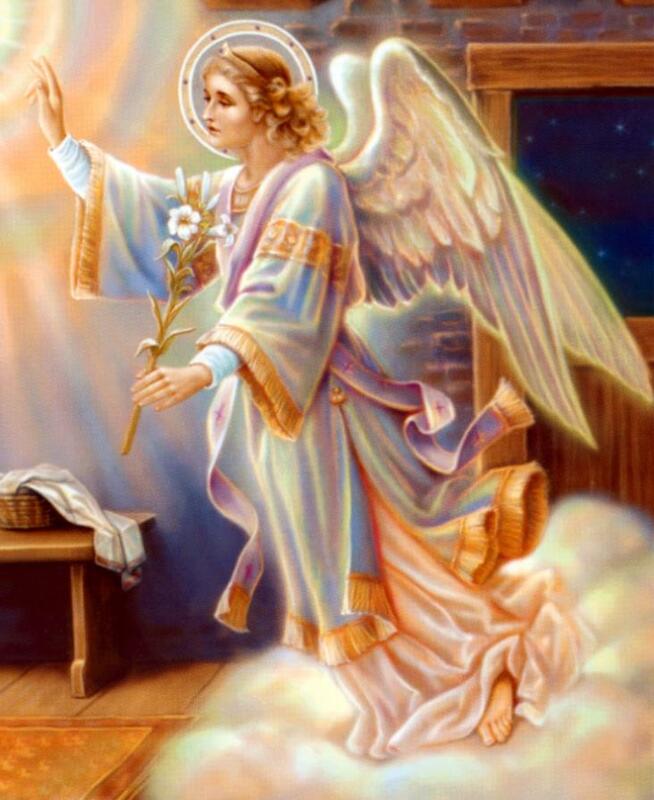 As you progressively receive your AngelLink attunements and begin to experience the benefits of each of these connections, first with Seraph Rose Aura and then the four Archangels, you'll be building a very effective angelic support group to powerfully assist you along your spiritual path. * Please keep in mind that the Rose Aura AngelLink is a prerequisite for receiving the Archangel AngelLinks. This is the only prerequisite. Anyone can receive the Angel Links.